It’s always great to see a housing developer realize that when it comes to tearing down old homes, there’s no need to waste potentially useful materials in the process. Seems like Aspen Ridge Homes had this exact thought when they were moving into their new sales office at their new development, Waterdown Meadows [map]. Instead of simply tearing down their old digs, the developer called in the fine folks from Habitat for Humanity to salvage what they could from the original office. 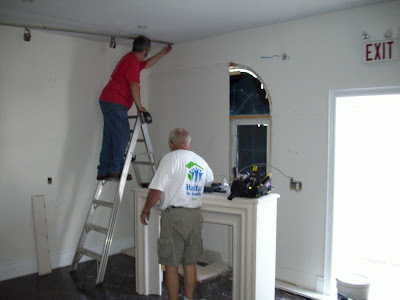 Habitat for Humanity removed the kitchen, trim and other detailing from the office in order to use it in some of their future projects. The habitat for humanity crew hard at work. Meanwhile, Aspen Ridge’s new sales office, a new Timson model home is something to marvel at. 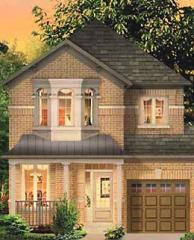 The office is a model of their new freehold townhomes in Waterdown Meadows which offer the elegance of striking clay and brick exteriors coupled with the small town charm of Waterdown. A pretty solid combo if you ask me. But even if a move out to scenic Waterdown isn’t up your alley this time around, you can’t deny Aspen Ridge have their hearts in the right place. Let’s hope more housing developers think of Habitat for Humanity before they don their hard hats and go nuts with the wrecking ball. 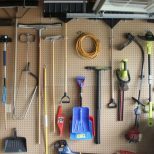 There’s no sense in wasting perfectly good, re-usable material, even the demolition process is delayed ever-so-slightly. 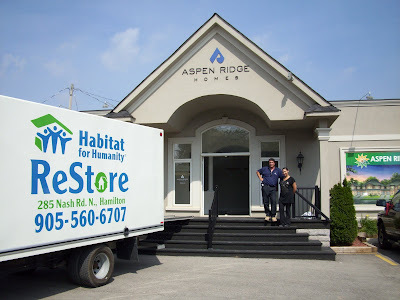 Kudos to Aspen Ridge Homes for doing their part to help this great non-profit group. For more information on the Waterdown Meadows development call 905-690-2324. Visit the sales office Monday to Wednesday between 2pm and 7pm or on Saturday and Sunday between 11am and 6pm. The office is closed on Thursday and Friday.